Wu (Hao) was created by Mr. Wu Yu-Xiang, during the Qing Dynasty when Xiang Feng was emperor. Sometimes it was called Wu or Hao style. The style’s creator, Mr. Wu Yu-Xiang, was a scholar. He combined taiji training from Chen Qing-Ping, and Mr. Wang Zhong-Yue’s theories with study of Confucianism, Taoism, and Sun Tze’s Art of War. With this knowledge, Mr. Wu Yu-Xiang developed the main form of Wu (Hao) as well as the 13-Technique Taiji Spear (staff), 13-Technique Taiji Saber, and Moving-step Push Hands. From the basis of Mr. Wang’s Zhong-Yue’s theories, Mr. Wu continued the development of the 13-Torso Method, an Analysis of Taijiquan Theory, an Introduction of the 13 Postures, and Secret of the Four Words. Once Mr. Wu developed these he had completed a taijiquan system. There was an important exception–Mr. Hao Wei-Zheng, who popularized the system. Mr. Hao accepted Mr. Li Shen-Duan as a student. Another student, was Mr. Sun-Lu Tang, a famous Xingyi, and Baqua teacher. He subsequently created Sun-style taijiquan. In addition, a businessman and famous Chinese-Muslim scholar, Mr. Li Shen-Duan studied under Mr. Hao. Mr. Li Shen-Duan taught many students in the Xintai area. The most famous ones are Mr. Chen Gu-An and Mr. Wu Wen-Han. Both taught Mr. Jimmy Kokkhang Wong and accepted him as their disciple. Mr. Wu heard of a man who was a taijiquan expert that lived in Zhaobao town, Wen County, by the name of Mr. Chen Qing-Ping. Mr. Wu had many questions that Mr. Chen could possibly answer. He was determined to find him. In 1852, Mr. Wu’s elder brother was appointed governor of Wuyang County, Henan Province. His mother gave permission for a visit. On the way, he detoured to seek out Mr. Chen. Diligently, he studied from Mr. Chen. Tai Chi: It’s no longer just for seniors. The slow fluid movement of Tai Chi is great for conditioning the body and mind. For those interested in the internal martial arts, we offer classes on Wu (Hao) Taiji. Wu (Hao) Taiji is a gentle form of exercise with an emphasis on focus, relaxation, and proper posture. From a martial perspective, Wu (Hao) Taiji is effective due to its focus on smaller, connected movements generating immense power and the concept of softness overcoming hardness. 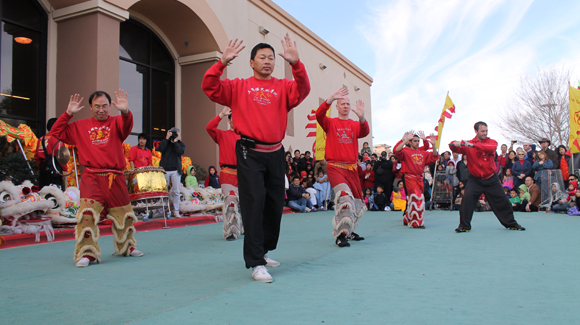 Our Sifu, Grandmaster Jimmy K. Wong, is the sixth generation direct lineage of the Wu Yu-Xiang Wu(Hao) Tai Chi system. According to Stress in America survey, 75% of American adults feel high levels of stress every month. For some, it actually turns into full blown panic disorder. Study shows Tai Chi reduces stress and anxiety, while increasing energy, flexibility, and agility. Some evidence shows that it improves joint pain. Tai Chi, also referred to as Tai Chi Chuan and Taijiquan, is the ultimate health and defense system started by a Chinese Sage by the name of Chang San-Feng. The movements throughout the the entire Tai Chi form emphasize both firm and soft postures aimed at developing inner self-control. All the movements are practiced at a slow, meditative pace in order to develop control over one’s own energy force and balances. The energy force, or Qi (chi), as the Chinese refer to it, takes natural breath control and the awareness of the body to develop. Tai Chi Chuan combines all of these healthy attributes to bring about total internal and external strength and rebuilds one’s spirit and body. Tai Chi: The Alternative to Medicine? It warms the body in the winter and cools it in the summer.